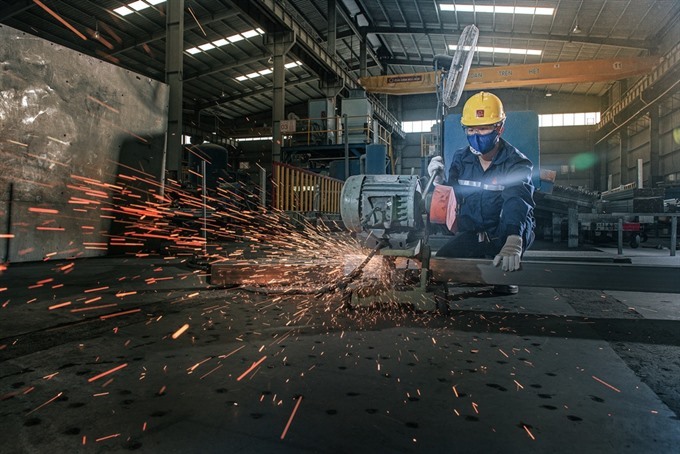 HCM CITY – Hoa Sen Group said it exported 4,300 tonnes of steel sheets worth US$3.7 million to the US last Tuesday, the first day of the Lunar New Year. Some production lines remained operational during the holidays, it said. Exports contribute 40 per cent of the company’s revenues. In fiscal 2017-18, the company earned $538 million from exports, a 27 per cent jump from the previous year. It produced 1.8 million tonnes of steel and earned total revenues of VNĐ34 trillion ($1.5 billion), up 13 per cent and 32 per cent. Sales were up both in the domestic and foreign markets, the company said. Profit after tax was VNĐ410 billion ($18 million). The company has a 35 per cent share of the domestic steel sheet market and 18 per cent of the steel pipe market, respectively the largest and second largest shares. It has 11 plants around the country.